CX Journey™: Customer Service or Lip Service? In your company, is "customer focus" just a poster on the wall? Or is it a way of doing business? How many times have you walked into an establishment and been bombarded by posters or signs about customer satisfaction, listening to customers, great customer service, etc.? Do you wonder if those posters are just posters, i.e., all fluff and no stuff? Do you question what your experience will truly be like? Do you think about whether employees were trained on how to ensure customers are satisfied? Do those posters mean employees are going to be gaming the system for a bonus? Wow! The questions could go on and on! Cynical? Yes and no. This isn't my first rodeo. I'm sure it's not yours, either. My latest exposure to such a poster was over the weekend, which is, of course, what prompted this post. A little background first: a few weeks ago, I had a little fender bender with an inconveniently placed post in a local self-service, drive-through car wash. The damage was minimal; it looked worse because of the paint transfer. Nonetheless, I needed to get the damage repaired, so I made a trip to a local collision shop that my dealer recommended. I walked in the door and was promptly greeted. Nice. Then, on the far wall, I saw a poster titled, "What is a Customer?" Hmm, this should be interesting. 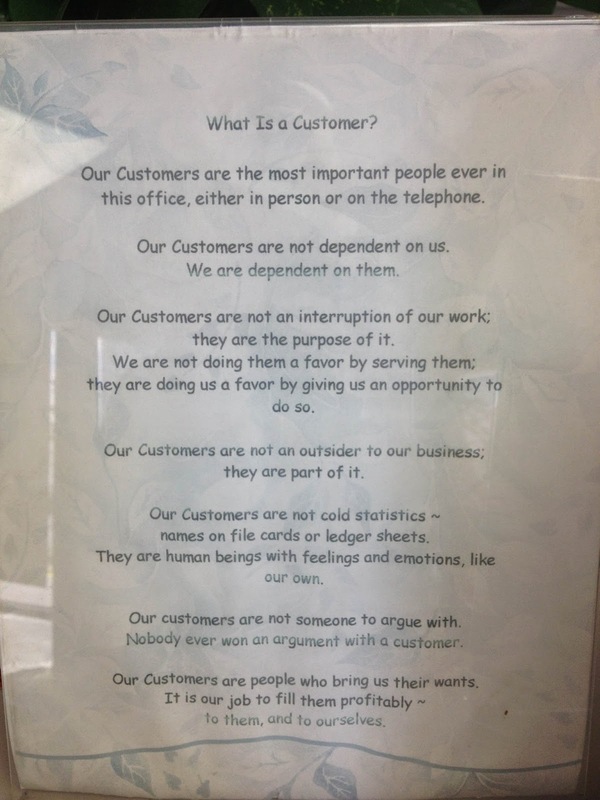 Our Customers are the most important people ever in this office, either in person or on the telephone. Our Customers are not an interruption of our work; they are the purpose of it. We are not doing them a favor by serving them; they are doing us a favor by giving us the opportunity to do so. Our Customers are not cold statistics - names on file cards or ledger sheets. They are human beings with feelings and emotions, like your own. Our Customers are not someone to argue with. Nobody ever won an argument with a Customer. Our Customers are people who bring their wants. It is our job to handle them profitably - to them and to ourselves. Did my experience live up to it? Yes. I was assisted immediately and blown away that they fixed the damage while I waited. I mentioned it was minimal, right? I had my car back in 10 minutes, and it looked like new again. At no cost to me! Will I go there again, should the need arise? Yes. Would I recommend? 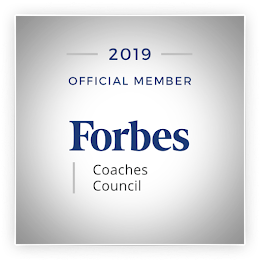 I know my experience was brief, but I was impressed with not only what they did for me but also with the attentiveness of the staff in the front office. So, yes. Do you have these posters in your business? Is it for your customers? Or a reminder for employees? Or both? If you're going to put a poster like this on your wall for customers to see, you better deliver on it. You've set expectations; you've set the bar high. Take care of the customer. Deliver a great experience. Not lip service. - Is it because the company is trying to change as previously they didn't treat their customers very well? - Is it because they don't really believe it themselves and have to keep reminding themselves why we are here and what we are aiming to do? - Is it because customers tend to expect bad service and need convincing that the business in question is different? What do you think? One, all, none or something else? Adrian, all fair questions. The cynic in me feels like it's the third one, but I think there is some truth to all them them. I think Adrian and I fall into the "cynical British" trap. "Killing People is Wrong" as a big poster in the hall way? I'm glad your experience was a good one, but I can't help but think that if companies need to put up a poster then their problems run deep. Great analogy, James. Yea, one of my favorite sayings is "actions speak louder than words." If you have to say it, are you really just trying to convince me... or yourself? An organization doesn't need such a sign if they act with urgency, courtesy, a collaborative problem-solving mindset (and thus behavior) and work diligently to satisfy. Yet, a sign can make a prospect feel more at ease about their upcoming experience because they can always point to the sign if the service is any less than advertised. Typically quality thinking and writing from Annette. Thank you, Michael. I appreciate your perspective. Seems like we may all be in alignment.